This Celtic wedding band has been hallmarked sterling silver by the Irish Assay Office at Dublin Castle, Ireland. 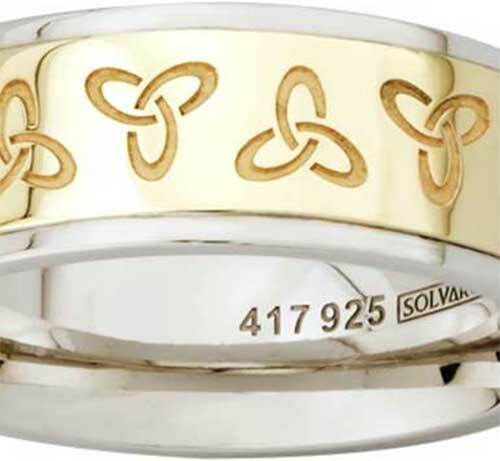 This sterling silver Celtic wedding band features engraved Trinity knots along with 10K gold. 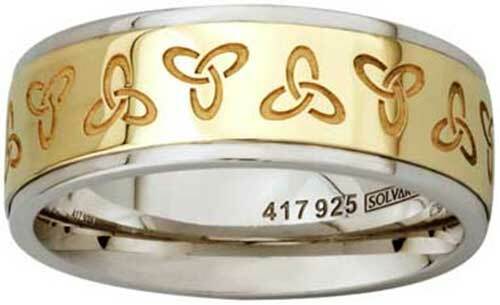 The men's Celtic band measures 5/16: (8mm) tall; the Trinity knot motif is continuous around the back.